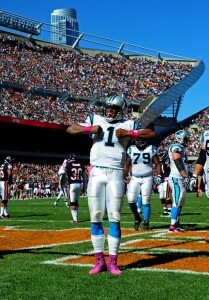 Good: Cam Newton sizzled and was sensational all afternoon long at Soldier Field. He made things look easy against a rather good Bears defense. He bought time with his feet, avoided sacks, and was cool under pressure. He ran for two touchdowns and it was as if he thought he was still at Auburn! Overall, three scores and over 400 total yards of offense – very “Vick-like” to say the least. Steve Smith was impressive yet again. A top-five wideout, and there’s no debate. Smith bullied the Bears defensive backs and showed emotion after every catch. Both he and Shockey are feeding off the energy generated by Cam. DeAngelo Williams and Jonathan Stewart both ran the ball at will (combined seven-plus yards per carry) and showed good vision and second-effort on the ground. The 20+ yard play was on display and it was a clinic. The show put on by the Panthers offense was a sign of things to come, and there’s no more questioning Cam Newton’s ability to become an elite franchise QB at the pro level. Many long, productive drives that were a beauty to watch. On defense, Charles Johnson was a menace whenever Cutler was asked to throw the ball; which wasn’t often – 17 passes. Also, Darius Butler did a nice job filling in for the injured Chris Gamble at corner. On top of that, Charles Godfrey made a pick and Greg Hardy was in the Bears backfield quite a bit. The pass defense held up strong, not giving up the deep ball or big play (only one over 20 yards). Lastly, 543 offensive yards is something you don’t see very often. Bad: Clearly you could tell the run defense was sorely missing it’s leader and heart and soul of the defense – Jon Beason. 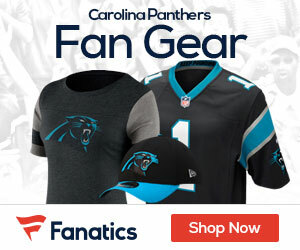 Without Beason and Thomas Davis, the Panthers allowed Matt Forte to go over 200 yards on the ground. The front seven was overmatched at the point of attack from start to finish against the run. Remember, this was against a club that, aside from Forte’s 42-yard run in the first quarter in Week 2 against the Saints, ran the ball 24 times for 30 yards the past two weeks. Basically, one guy on offense (Forte) and one player on special teams (Hester) beat the Panthers on Sunday. The tackling and lane discipline on Hester’s two big returns (one kickoff return leading to six points three plays later, punt return which went for a TD) were disappointing to watch. For Cam’s assessment, his pick-six that got tipped into the hands of D.J. Moore for a touchdown, is a risky pass. Yet, it wasn’t that bad of a toss, but it’s one he wishes he could have kept and ran instead. The playcalling in general, was not the best when you consider Williams and Stewart were having success running the football. I would’ve wanted to see more runs. The call on Jeremy Shockey’s touchdown was bogus. It wasn’t pass interference and Charles Tillman slipped himself. After that, the Panthers had to settle for a field goal; which ended up getting blocked. It went from going ahead three (27-24) or down just one (23-24), to having an 11-play, 71-yard drive go for nothing. Needless to say, very demoralizing.